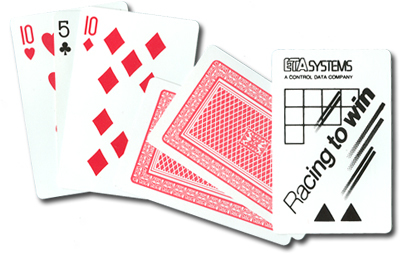 With our Custom Three Card Monte Trick, three playing cards are fanned and shown face up. The Magician asks a spectator to remember the middle card. To the spectator’s surprise, upon taking the middle card from the deck, the card has changed to a message card, which is custom-imprinted with the one- or two-color logo of your choice! The Three Card Monte makes a great promotional Magic Trick because it requires no sleight of hand. Anyone can perform the Three Card Monte Trick within minutes of reading the simple instructions that come with each Trick.